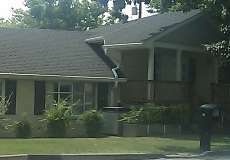 Transitional Housing And Work Programs Of Davidson Co offers a supportive housing program for adults with psychiatric disabilities together with substance abuse disorders. The program provides safe affordable housing and insures that basic needs are met for residents. Supportive services are also offered. Are you familiar with Transitional Housing And Work Programs Of Davidson Co? Help FreeRehabCenters.org users find out answers. I had a family member at this facility and they provided poor care. She was not transported to her appointments as stated in there contract, they made appointments for my family member and never to my family therefore she was dismissed from services.